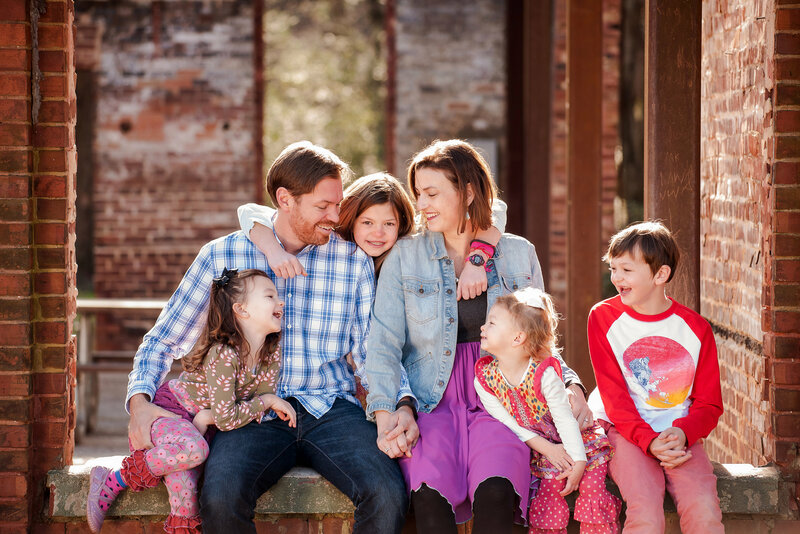 TEACHING TODDLERS TO PRAY: Interview with Mother and Expat in Sarajevo, Taylor Irby. Taylor Irby and I became friends as teenagers. Today she is mother of four living abroad in Sarajevo raising her kids to follow Jesus. I look up to her–as she is a more experienced mother than me and living in a cross-cultural context which is beautiful and difficult all at the same time! Amy: Where do you and your family go to church and what is your involvement there? Taylor: We attend a local Bosnian evangelical church in Sarajevo, Bosnia. We are regular members. I help lead worship occasionally and volunteer in the children’s nursery once a month. My husband preaches every complete of months and is an elder. Sometimes I sit with my kids and ask them specifically how we all can pray for each other. We each share a prayer request and then pray for each other. The next time I ask how that prayer was or was not answered. We give thanks and pray again and share more requests. Giving thanks is a wonderful way to introduce your kids to prayer! Walking down the road and pointing out God’s creation and giving thanks right then and there! Also, listening to worship music and worshiping with your children, teaching them that the songs we sing are a kind of musical prayer to God. Taylor: I think simply modeling prayer when you can is a wonderful thing! Other things we have done: set scripture around the house and connecting that to an action (see praying for your child 7 times a day), praying for “boo-boos”, praying whenever we see an ambulance drive by, praying for our friends and family. I tell my kids that prayer is simply talking with God through faith knowing that He hears us and cares for us, even if we can’t hear Him or see Him. They do when they want to. I never force my kids to pray. I have four children, and they all pray differently. My oldest, age 9, prays about things going on in her life. My boy who is 8 prays similar. My 4 year old usually prays the same thing “Dear God I thank you for this beautiful day in the morning, amen.” although I see her prayers evolving some lately…she’s adding some more details. My little girl, age 2 wants to imitate her siblings. She often gets upset when she is skipped over for prayer time. We give her a minute, she folds her hands and is silent. Then we all say “AMEN”. A word about meal time prayer. I’m really trying to teach my kids that when we are praying together it’s important to focus on Jesus, not on our food, not on our homework that is due tomorrow, not on anything but Him. It’s easy to get distracted so I tell my kids that I struggle with that too. A simple rhythm I’ve taught my kids is “Irbys, how do we pray?” and they all, even the 2 year old, immediately fold their hands and close their eyes. We talk about the reasons why we do this: fold hands so we don’t mess with anything that could distract us, bow our head and close our eyes so we aren’t tempted to look around and get distracted. A resource Ive used in the past with my toddlers is “Playtime Devotions”. It’s simple little devotions that the smallest baby will enjoy.